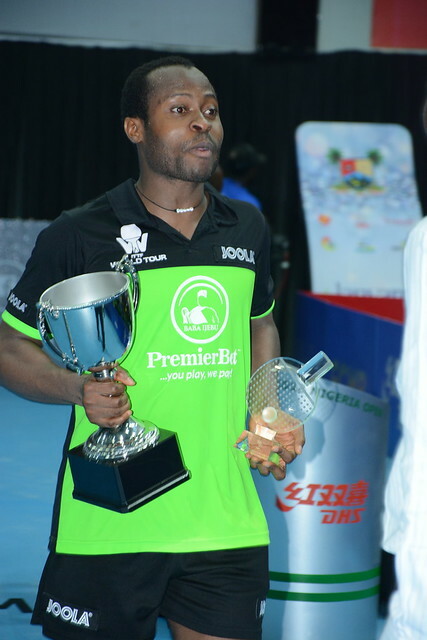 The Nigerian Table Tennis Federation invites seven International Umpires to officiate at the forthcoming 2018 ITTF Challenge Seamaster Nigeria Open. Staged in Lagos, including the qualification tournament, play commences on Wednesday 8th August and concludes on Sunday 12th August. Full hospitality will be provided for all umpires in a twin room from dinner on Tuesday 7th August to breakfast on Monday 13th August. Each umpire will receive a daily allowance per competition day, according to ITTF regulations. Should a nominated umpire require a visa, kindly send relevant details when submitting the nomination (full name as in passport, date of birth, place of birth, passport number, expiry date of passport). A letter invitation will be provided. All costs relating to visas are the responsibility of the applicant; the issue of a visa is at the sole discretion of the relevant consulate or embassy. The closing date for nominations is Friday 6th July. The complete list of umpires accepted, including those selected to officiate on the concluding two days of the tournament will be advised on or before Friday 13th July.